Infographic: Ankle Injuries in Volleyball Players. The threat of ankle injuries is high amongst volleyball players. There is not just one position that faces the high potential for having problems, but players in all positions can be vulnerable. Due to the frequent movements expected in the sport such as jumping to reach the ball and then landing, the risk of ankle injuries greatly increases. Common moves throughout the game such as going side-to-side and front-to-back can also increase chances of injury. Sprained ankles and fractures in the bones surrounding the area are among the injuries most often seen with players. These can be caused by landing in an awkward manner that puts undue stress in an area that is not prepared to support it. Slipping during landings, sharp turns and spur of the moment moves can also be causes. While the injury itself can be extremely painful, it is also problematic in other ways. Rehabilitation can take a long while and lead the player to miss a substantial amount of the season. Once this type of injury has occurred, the likelihood of a recurrence rises quite a bit. 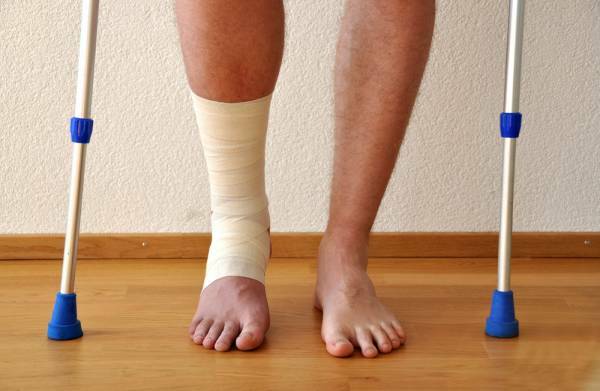 The best way to deal with ankle injuries is to go the preventative route and avoid them altogether. Ankle braces can provide considerable support while still allowing the player to be mobile and move in a full range of motions. They can also diminish the chances of a recurrence. Learn more about injuries faced by volleyball players and get tips on how to avoid them with the following infographic.